We are the second largest group after Tories because Labour have been reduced to just 11. However, we have said we do not want the status of “official opposition” – which means our leader gets a bit less money, but we don’t have to come up with alternative budgets, etc. 2. No one tells anyone else in the group how to vote, except by persuasion. We are the only group whose members all represent the people in the divison where they live. I have been appointed to the audit committee and the pension committee. The pension committee is preparing to put the bulk of its £2.6bn in assets into a “pooled pot” with other local authorities across the East and South East as demanded by central Government. This will reduce, but not remove, the ability of Suffolk County Council to invest sums in the local economy, which is something I am keen to see it do. Though it is early days I would also like to see the pension fund examine whether it is wise to remain so heavily invested in fossil fuel companies. This is because I agree with the Governor of the Bank England Mark Carney who has warned that government legislation to cut CO2 emissions could pose a substantial risk to the value of oil and gas assets. The London Borough of Waltham Forest has already agreed to do this. I have attended my first audit committee which heard that the council has inadvertently paid £400,000 to private care homes for beds for people who have died. This seems to have been a mixture of some care homes not telling the county when their patient dies while in other cases they told the county but no one in the county told the people making the payments Fortunately this was spotted by the head of internal audit and we are told better internal reporting measures introduced. The last time they checked the overpayments had reduced to just £40k. The county has recovered all the money it is owed. The county’s own care homes were all outsourced about four years ago to Care UK. I suspect that when this contract happened, county staff were not geared up to control payments. Before the election, my friend and the then Green group leader Mark Ereira and the then Ukip leader proposed a motion to introduce a committee system to the council and scrap the cabinet system. This was amended to something like “explore the options in a cross party working group”. The Conservative-dominated working group has decided that they want to have cabinet committees, which is a hybrid system that allows the Conservatives to control everything, but hear opposition voices from the committees. Labour and our group have pushed them successfully to have 12 members on each of these committees which means there will be two from our group, alongside two Labour and 8 Tory councillors on each committee. They can only advise and the 100% Tory cabinet will make the decisions still, but it’s better than before. Hey ho. We are entering the final stages of a general election campaign which looks like cementing our out-of-date two party system in place for at least another five years. Labour have failed to put a proportional voting system into its manifesto. Despite calls from many in his party, Jeremy Corbyn has stuck to his script that he does not need it to win, nor does he want it – oh and he can win the Green’s only seat in Brighton. So Labour are asking for your vote on the basis of maintaining the unfair voting system which has given us a majority of “safe seats”, expenses scandals, indifference to voters and all the rest of it. Social media is full of idealistic people saying they wish Greens and Labour would work together. Well that will only happen if people vote Green rather than Labour in this general election. Across the pond in Canada, Greens in the Canadian province of British Columbia have just agreed a deal with the New Democratic Party (the Canadian equivalent of Labour) which will overturn the winner-takes-all voting system in that province and bring in proportional representation. It will also restrict private and union donations to political parties. The Greens were able to do this because the New Democratic Party (NDP) needed the three newly elected Green MPs to form a majority Government. In the British Columbia elections last month, the Liberal Party which had ruled the province for 16 years lost seats to bring their total down to 43. The NDP won 41 seats. The Greens tripled their representation from one to three MPs. A party can not form a government just because it has more seats than any other single party. It can only form a Government if it has more seats than all the other parties combined. If it does not it must seek a deal with some other party to give it a majority. So both the NDP and the Liberals knew they had to do a deal with the Greens. In the end the Greens went with the NDP because they promised to fight against a massive proposed oil pipeline and to scrap first-past-the-post voting and introduce proportional representation. Both parties have hailed this as an example of the sort of non partisan co-operation that voters want and are urging Canada’s central Government to follow suit. Over here in the UK it just so happens that some pollsters are now predicting that there could be a hung parliament in Britain after this election, with Conservatives winning more seats than the other parties but unable to form a Government, because their seats will not outnumber the total of other parties’ such as Labour, SNP and Greens. We heard this before the 2015 election and it did not happen and it seems unlikely again this time but it does make the point that Greens are needed in parliament. If Greens double their number of MPs from one (Caroline Lucas) to two – with a win against Labour in Bristol West, then the pressure on Jeremy Corbyn, or whoever leads Labour after June 8th, to end Labour’s official resistance to a fairer voting system would be intensified. The SNP also support proportional representation, but they are not standing in England, and UKIP too support it but are unlikely to win any seats anywhere, including their former seat of Clacton (where the popular Douglas Carswell is standing down). So if you want Greens and Labour to cooperate it is no good voting Labour in seats that are either safe Conservative or safe Labour. The Green Party has tried to seek a pre-election deal with Labour. Labour has refused and has refused to put a fairer voting system in its manifesto. If voters want the two parties to work together, they need to pressure Labour, not the Greens. They need to send a message to Labour and Jeremy Corbyn by voting Green in safe Labour and Tory seats. A larger Green vote will be noticed, a larger Labour one will not in seats that they either can’t win or are sure to. And then there is Bristol West. Here the Green Party came a close second to Labour last time (LibDems and Conservative were in 3rd and 4th place). 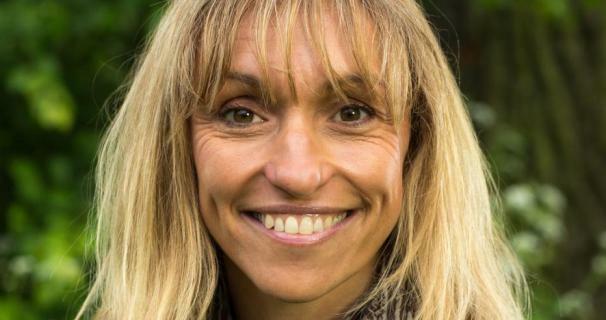 Many left-Green supporters think they must vote Labour in Bristol West to ensure that Labour have as many seats as possible so that they can form a Government. But this is to misunderstand the way Governments are formed. A Green win in Bristol West will serve to cut the Tory majority just as well as a Labour win. And it will have the added advantage of putting pressure on Jeremy Corbyn to make a fairer, proportional voting system Labour policy. So if you want a fairer voting system, and you want to get rid of the Conservative government, vote Green, not Labour. In my last blog on Jeremy Corbyn I suggested that his halo had cracked because he was not entirely honest about his thoughts on Brexit. Because he did not believe in remaining in the EU himself, he failed to support Remain wholeheartededly. His USP (unique selling proposition) had been that he was a man who stood by his principles. He failed to do that. Bang goes the sole reason for his popularity. This does not sound like a conviction politician. It sounds like someone trotting out an ill-prepared line. Blair made some valid criticisms of the extreme right wing Brexit that we are likely to be landed with, one that would see the feeding of the NHS to American private health providers, and the undermining of employment and environmental protections. Where is Jeremy’s criticism of the extreme right wing Brexit that we are likely to get? Since the referendum (or even before it), Jeremy could have come clean about wanting to leave EU. He could have unveiled his vision for Brexit if he thinks it is a good idea. But either he doesn’t have a vision, or he is not sure whether it is a good idea or not. So why support it? One is forced to the conclusion that he is afraid of his heartland voters. This is a man in a muddle. He is finished. The truth is, he was always an accidental leader, as this piece in Business Insider explains. He never expected to win the leadership battle and in a revealing interview with John Snow he refused to say that he wanted to be primeminister. The rumours are that at one stage he wanted to resign but John McDonnell persuaded him it was his duty to remain. But his apparent honesty and apparent loyalty to the package of values labelled socialism fuelled the hopes of thousands. I was not one of those people. To me socialism is a tarnished ideology and tacking on Greenery to it was never going to be an answer to the calamity of overconsumption by the wealthy western world. State ownership doesn’t deal with the need for healthy, decentralised local economies and communities, nor the need to protect future generations. The natural world can’t support our current rate of consumption. Yes we need some redistribution. But just divvying out the spoils is not going to protect future generations. It’s about cutting our economic cloth to fit the environmental reality. But even I would admit that there could have been an opportunity nonetheless to tweak the national narrative. Corbyn, had he the personality, could have risen to the occasion, used the platform he was unexpectedly gifted to lever in some new ideas into the national consciousness. A people’s quantative easing, a funding of the transition to sustainable energy, a basic income for all. All Green Party ideas that John McDonnell has toyed with, ineffectually. But Jeremy’s brain was stuck in old Labour ways – full employment, listening to sector pleading from unions, even when the unions are trying to prop up a harmful industry. Confronted with a Welsh mining community his instinct was to promise to look at reopening coal mines. Faced with losing a byelection in nuclear powered Copeland, he abandoned his opposition to nuclear power, promising the workers a shining new nuke station. Back in June 2015, trying to appeal to Green voters, he promised “no to new nuclear“. Asked for a fairer voting system and a deal with other parties trying to remove the Conservatives, he ruled it out. The Labour Party comes before fairness, it seems. He has not risen above his party to lead the people, he has sunk into it. He is a Labour tribalist first and foremost. 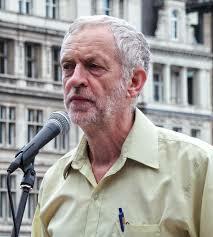 Only the blindest of socialist heroworshippers can still think that he will lead Labour to a victory in 2020. The only question remains now whether he is loyal enough to his party to quit as leader before he ensures his party one of the worst election defeats in its history. “What an apple, what suavity of aroma. Its initial Madeira-like mel lowness of flavour overlies a deeper honeyed nuttiness, crisply sweet not sugar sweet, but the succulence of a well devilled marrow bone. Surely no apple of greater distinction or more perfect balance can ever have been raised anywhere on earth.” Art critic and pomologist Philip Morton Shand (right), BBC Radio 1944. “Outright winner was Ashmead’s Kernel, so good we almost eliminated it from the competition as it was not fair on the others. This is an intensely aromatic apple, with a pleasing balance of sweetness and acidity. Crisp and juicy. It is a late season apple that stores very well.” Gloucester Apple Trust – tasting notes 2005. This autumn ten of the 25 apple trees I planted six years ago have finally borne worthwhile fruit. I had to look up my planting notes to work out which ones they were. Five of the trees were Ashmead Kernel. They were absolutely laden with very large almost khaki-coloured fruit. Some of the branches were bent down almost to the ground with the weight. Closer up you can see the colour is green underneath but overladen by the furry “russet” coat, which is a sort of light brown in colour. I picked them all. Most have been pressed into apple juice – which is particularly flavoursome – and are now in the freezer in plastic bottles. But I still have a tray in the cellar because they are meant to keep into February. They are both acid and sweet at the same time, as the tasting quotes above show. The four pictured above I’ve just brought up from the cellar. The boys gobble them up very fast. They are called Ashmead after the Gloucester worthy who first grew them in his garden in what is now Clarence Street, Gloucester in about 1700. Sadly the original tree was destroyed when a new road was built through the garden in the nineteenth century. The site of his garden is now taken up by this unlovely Primark outlet. Luckily, a local nurseryman name of Wheeler propagated the apple for sale in about 1766 and it became locally successful ie in West Gloucestershire. It is seen now as one of the finest products of Gloucestershire, so could quite likely have contributed to Laurie Lee’s drink of golden fire, quoted above from his novel Cider With Rosie. Despite Morton Shand’s wartime fervour for its taste, according to some info I found from a community orchard outside Bristol, it did not come to national notice until the 1960s when it showed well in blind testing conducted by East Malling Research Station. It finally gained acceptance when, in 1981, it was awarded a First Class Certificate by the Royal Horticultural Society – after nearly 300 years. If you surf the web, rather pleasingly, there are quite a few American bloggers talking about how much they like it, but how difficult it is to grow, including one poor chap who only managed to find a couple of apples in a very special supermarket when they were past their best in December. He had to nibble the top and bottom bits (near the poles) to get the “acid drop” taste, which had seeped away during storage nearer the apple’s equator. I knew none of this when I bought the saplings from a nursery six years ago. I chose the trees based on what was available (the nursery had run out of many of its varieties and generally takes bookings a year ahead) that fruited late and kept well and were reasonably disease free. So I’m feeling quite smug about my choice. A few of my Ashmead Kernel apples have got a mild case of “bitter pit” which is thought to be brought about by lack of nutrients but with my apples it is not severe enough to affect the flavour. The whole idea of planting late fruiting varieties was to have enough apples to keep in the cellar and last us through winter, so we’ll see how they last. They are there in the musty gloom alongside about seven trays full of Claygate Pearmain, the other five of my planted trees that did really well this year. Here are some of the Claygate Pearmains. Like the Ashmeads, they are covered in russet but they have a rosier tint on the side where the sun reached them, this segues first into orange, then yellow and then green as you travel around the apple’s equator. But the whole skin is suffused with greeny freckles. The flesh is softer in the Claygate and it does not have Ashmead’s sharpness, but they’re still nice. Claygates also have a back story. They were discovered in a hedge in the village of Claygate, in Surrey by Claygate resident John Braddick in 1821. The Claygate trees have this year been even more prolific than the Ashmead. But strangely, one of the five trees produced a mass of smaller apples and hardly any full sized ones. I tried to thin out the baby apples in mid summer but that tree may either have been more attractive to bees for some reason and so set more fruit or it may have been one that I missed. It’s such a joy and privilege to be keeping alive these historic discoveries. And they are discoveries. Each of the hundreds of English apple varieties represent a little fortutious accident of nature, not deliberate breeding. Apples can not be “bred” like many domestic plants and animals. The pips do not grow true – they do not grow up into the same variety of apple they came from. The blossom on the tree is fertilised by pollen from another variety. The tree produces a predictable apple variety, but no one can predict what genes the seed inside the apple contains. Often people’s carefully planted and long-tended pip grows into a tree that does not even produce apples. Johnny Appleseed, despite his name, and what I was told at school, did not go around America scattering pips. He planted nurseries, with the aim of selling trees, not orchards for selling apples. So it is up to nature to produce new varieties. When an apple arrives that happens to be tasty to us humans, it is our role to discover it, whether it is in a hedge, like Claygate Pearmain, or in someone’s garden. And then we have to propagate that plant, from cuttings, not from pips. As you saw, Ashmead’s Gloucester garden is now a store selling cut-price imported clothing and it is unlikely that any of the commuters living in Claygate would have the time or inclination to scan their local hedgerows for new varieties of apples today. So we can only keep on propagating the discoveries of our vigilant ancestors. The thing Jeremy Corbyn had going for him, as far as the general population is concerned, was his integrity, his refusal to compromise, his refusal to schmooze and simper and smarm. His apparent ability to stand up for what he believed in, regardless of what was deemed establishment opinion, rightly earned him the respect of people from all walks of life and political views. He did manage to crack the establishment consensus that austerity is the only solution. Conservative strategists like Lynton Crosby saw that in his character and in their souls feared it. There is no one in the Conservative party who could win in the integrity stakes against Corbyn. He also got principles confused with reality. I too was initially ambiguous about which way to vote in the referendum. But as I saw how the leaders of the Leave campaign were deliberately manipulating people into blaming immigrants for many of the country’s problems I realised I couldn’t afford to sit on the fence. Much though I disliked a lot of what the EU stood for, I realised voting Leave would embolden and legitimise racists, without achieving much change for the good, and without even reducing immigration by a significant amount (assuming that was the desired outcome for many people). Corbyn must have seen this but he perhaps loved his left-wing principles more than the reality and he wasn’t going to bend. So Corbyn not only betrayed the Remain side by being half-hearted, he also helped embolden racists. But if he believed in Leave then why should he have loyalty to Remain? The Labour Party forced him into that box, as did probably the majority of the new young members who voted for him. So the deeper betrayal was to his own persona. His image of integrity has been tarnished because he is seen to have been untrue to himself. If he wanted to Leave he should have come out and said so. If he decided that Remain was the right thing to do, however reluctant he was, he should have come out and said so properly. He should have described publicly his own battle with the issue. Instead he bowed to pressure to support the Remain side, even when he did not really believe it. THAT is the key error. That is just what St Jeremy was not supposed to do, speak for something he doesn’t believe in. The halo has slipped badly. If he wants to get his image back, he needs to acknowledge the mistake he made in the referendum campaign. Come clean, admit his true position on Europe and apologise for not being clear about it before. Unless he does that he will never repair the deep crack to his reputation. But I am not sure he has the personality to admit he is wrong. The very inflexibility in him that has won him support is about to destroy him. I have a lot of time for Chris Packham and BBC’s Spring Watch. But the other day his co-presenter Michaela Strachan repeated the age old nature programme gimmick of scaling up small animals “feats of strength” to human size and then being amazed. Weight lifters sometimes go in for that kind of mistaken mathematics as well, with smaller bodybuilders or weight lifters often claiming that “pound for pound” they are stronger than their bigger rivals and that therefore they have better muscles. When gymnasts have to lift their own bodies on the parallel bars, it is always harder for a big person to do it than a small one. This is not because the small person has done more exercise. The mistake here is to assume body weight is proportionate to strength. Body weight is not proportional to strength. What determines the strength of a muscle is its cross sectional area, not its weight or volume. A thicker muscle can exert a bigger force, a longer, thinner one with the same volume would be weaker. Never mind the size, feel the thickness! Your strength is proportionate to the cross sectional area of your muscles. Thankfully, as you grow, the cross sectional area of your muscle increases, as does its length and overall volume. But here’s the key to it all: your muscle volume and weight increases at a faster rate than your muscle cross section does. So if you are a tall person trying to lift yourself up on the parallel bars, you will find it harder than you did when you were smaller, because your weight has increased by more than your muscle cross section. So Ali is roughly 1.16 times taller than Khan but 1.7 times heavier. Every inch increase in the length of our muscles is cubed when it comes to the volume of the muscle but only squared when it comes to cross sectional area. 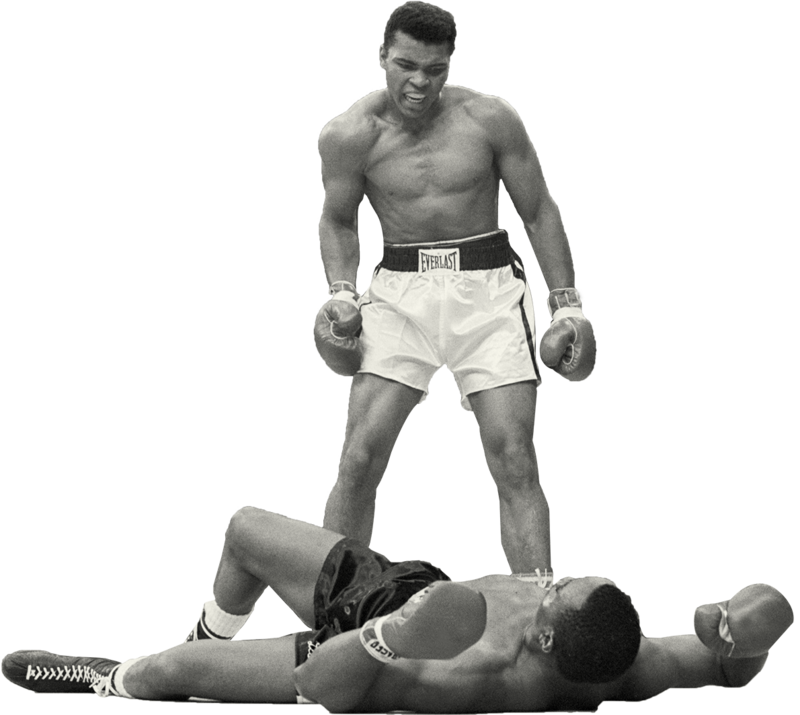 So Ali’s muscle cross section will be larger than Khan’s but nowhere near 1.7 times larger. Obviously Ali is stronger than Khan and Michaela is stronger than the stoat. 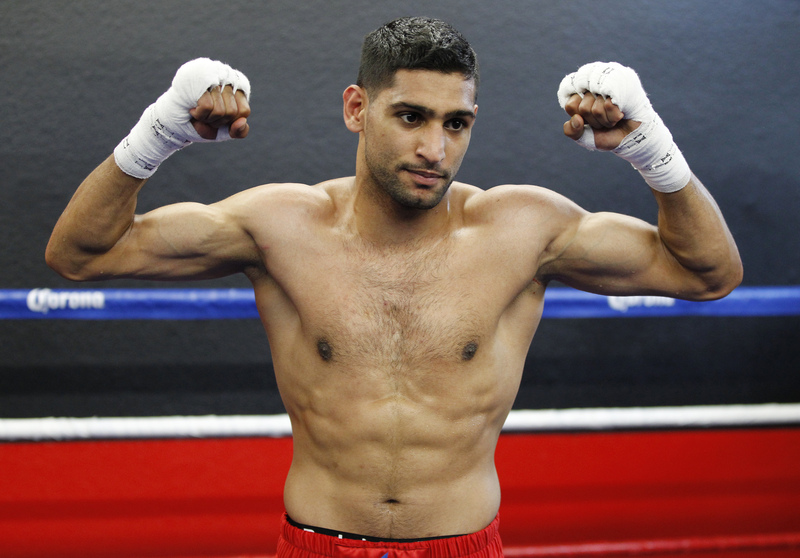 “Pound for pound” Khan is stronger than Ali and the stoat is stronger than Michaela Strachan. But that’s not a fair way to look at it. Cross section for cross section they are all roughly the same strength because all four of them are very fit. So how could Michaela really take on the stoat in a fair challenge? The stoat has a cross sectional area of about 12 sq cm. You can probably fit around 40 stoat waists into Michaela’s waist. 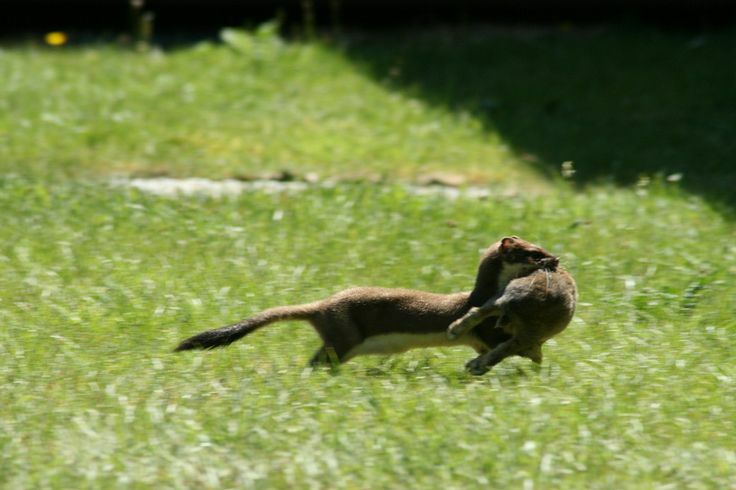 The stoat carried a rabbit weighing a kilogramme. So, to match the stoat, Michaela should carry something weighing 40kg. This is about the weight of a large family dog, like a German shepherd. It’s roughly what British soldiers carried on their backs when they yomped across the Falkland Islands. Not easy, but certainly more achievable than a male stag. I’m sure she’d do it to feed her kits.